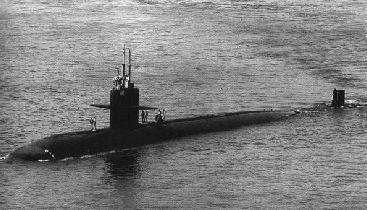 USS BATON ROUGE was the second LOS ANGELES class Attack Submarine and the first decommissioned ship of that class. USS BATON ROUGE was homeported in Norfolk, Va.
USS BATON ROUGE has been disposed of by submarine recycling. This section contains the names of sailors who served aboard USS BATON ROUGE. It is no official listing but contains the names of sailors who submitted their information. Click here to see which USS BATON ROUGE memorabilia are currently for sale on ebay. While on patrol in the Barents’s Sea near the primary Soviet Submarine base at Severomorsk, the BATON ROUGE collided with the BARRACUDA, a Soviet, Sierra-class, nuclear-powered attack submarine. Details of the collision are not made public, and this remains one of the more controversial collisions in U.S. submarine service history. It also led to heated diplomatic exchanges between the governments involved. Both submarines were able to return to their respective bases under their own power. However, the BARRACUDA has remained in dry-dock ever since the accident. The BATON ROUGE was reportedly due to be re-fueled, a lengthy and expensive proposition. Military budget cutbacks apparently did not allow for the additional expense of the repairs needed, and BATON ROUGE was decommissioned less than a year after the collision, on January 13, 1995. 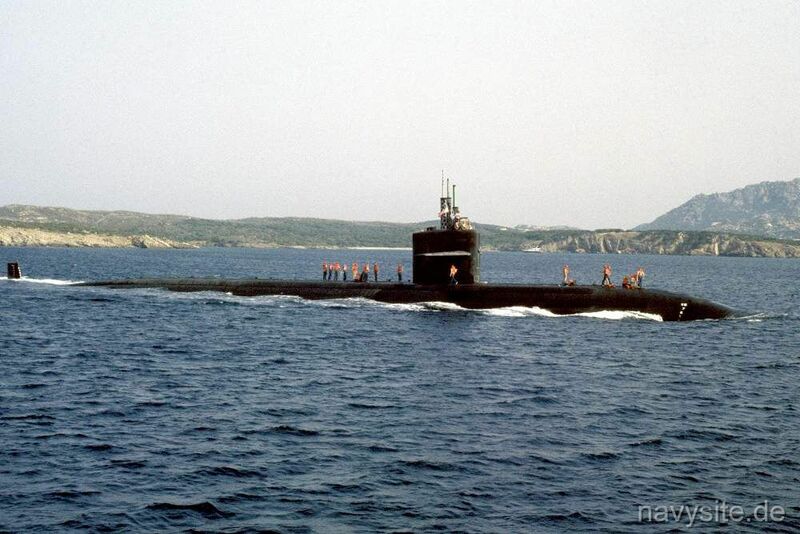 She had only been in service for 16 years, and was the first LOS ANGELES class submarine decommissioned. The extent of the damage has not been publicly disclosed, but must be inferred from the fact that the BATON ROUGE was decommissioned, rather than repaired. USS BATON ROUGE had her keel laid down at the Newport News Shipbuilding & Dry Dock Company in Newport News, Virginia, on November 18, 1972. She was launched on April 26, 1975. Following sea trials, she was commissioned on June 25, 1977. 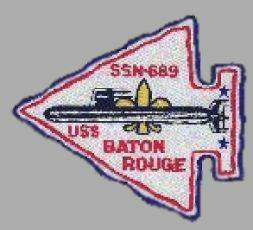 BATON ROUGE was initially homeported in Norfolk, Virginia, as a unit of Submarine Squadron Six. After conducting a post-shakedown availability, she departed for the Mediterranean Sea on the boat's first major deployment in October, 1978. 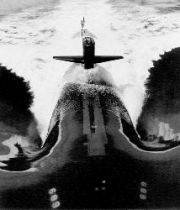 In July of 1979, she was transferred to the newly-formed Submarine Squadron Eight. On February 26, 1980, BATON ROUGE deployed to the Indian Ocean for operations under the control of CINCPACFLT (Commander-In-Chief Pacific Fleet). She circumnavigated the earth, crossing the equator and International Date Line, and transitted the Panama Canal on the homeward trip. Upon arrival in Norfolk, Virginia, the boat received the Navy Unit Commendation for this deployment. In January of 1981, she was the SUBLANT nominee for the Battenburg Cup as the best Atlantic Fleet submarine. BATON ROUGE again deployed under the control of CINCPACFLT in the fall of 1981. Upon completion of the deployment, she was awarded the Meritorious Unit Commendation. In the spring of 1983, "Big Red" made her second deployment to the Mediterranean Sea under the control of CINCLANTFLT (Commander-In-Chief Atlantic Fleet). She was the second runner-up for the Golden Anchor Award for 1983. In the spring of 1986, BATON ROUGE completed an eighteen month overhaul at the Norfolk Naval Shipyard, during which time the ESGN navigation system, the AN/BQQ-5C sonar system, and the CCS Mk-1 digital fire control system were installed. Her first post-overhaul deployment was to the Mediterranean in November of 1986; her third such deployment to this region. In August of 1988, she completed a deployment to the North Atlantic for which the boat was awarded its second Meritorious Unit Commendation. BATON ROUGE completed her fourth deployment to the Mediterranean in January of 1990. On February 11, 1992 while on patrol in the Barents Sea near Severomorsk, USSR, BATON ROUGE collided with the Soviet Sierra-class nuclear attack submarine BARRACUDA. Details of the collision were never made public. Both submarines returned to their respective bases under their own power with no casualties reported. BATON ROUGE was decommissioned less than a year later on January 13, 1993, after only sixteen years of service in the fleet. The extent of the damage has never been made open to the public. BATON ROUGE was mothballed in Puget Sound Naval Shipyard in Washington and scrapped in January of 1997.